Another week over. Can you believe we’re already halfway through September? Later in this post I even mention the C word! No, not that C word. Here’s a look at the last week at Casa de Cornish Geek. 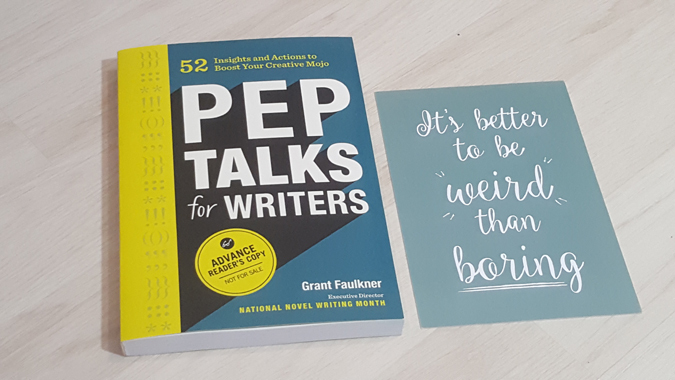 Read: This week I’ve been reading an ARC of Pep Talk for Writers, due for release next month. While it’s mostly of benefit to creative writers rather than bloggers, there’s a lot of handy tips in there. Stay tuned for my review in a couple of weeks. I’ve also read and freaking loved the latest issue of Blogosphere. Not only has my favourite blogger (and her bump!) beautifully adorned the cover, but it’s packed with so many awesome features and interviews. And it’s the first time I’ve really noticed how beautiful the photography is – great job guys! I’ve also got a stinking TBR pile to get through before I start asking Father Christmas for more. Look at these beauties! Watched: It’s been pretty much the usual kids’ TV, Jenson’s fave films (Nemo, Dory, Olaf and Moana) and Neighbours over the last week, although we did manage to squeeze in a whole episode of Daredevil across two nights – Jenson woke up part-way through. We’re so behind! Heard: Jenson has had two settling in sessions at nursery so I’ve listened to Luke tell me about his day. Hopefully by the time I do his next monthly update he’ll be feeling a bit better but right now he screams bloody murder and refuses to settle when Luke leaves the room and doesn’t want to play or have snack time with the other kids. But at least he’s not shoved anyone – yet! Made: I’ve always struggled with this section as I’m not especially crafty and haven’t started baking with Jenson yet. Plus Luke’s head chef in our house. I guess I regularly create things at work that I’m proud of. Our Freshers Welcome Mag came back from the printers recently and I’m really proud of how it turned out. It’s the third year we’ve produced a magazine and the third time I’ve edited it – it’s definitely an annual highlight. 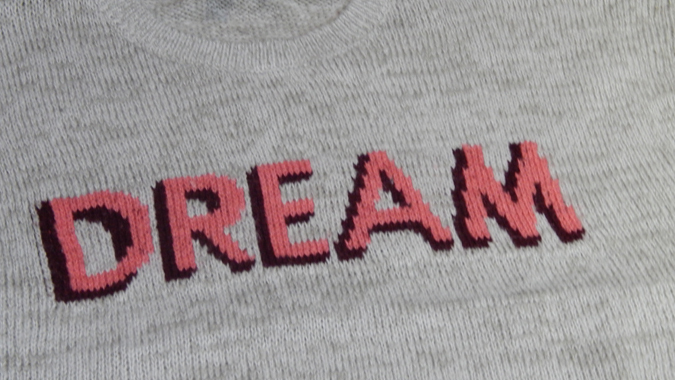 Wore: I might have bought another jumper from New Look – that’s six in the last week! But this one was a bargain £7.99 and it’s chunky and baggy and perfect. And lastly: I know I touched on this last week but I’m so freaking excited about the brand collaborations I’ve got scheduled in for the next few weeks (did you see yesterday’s Lansinoh giveaway?). 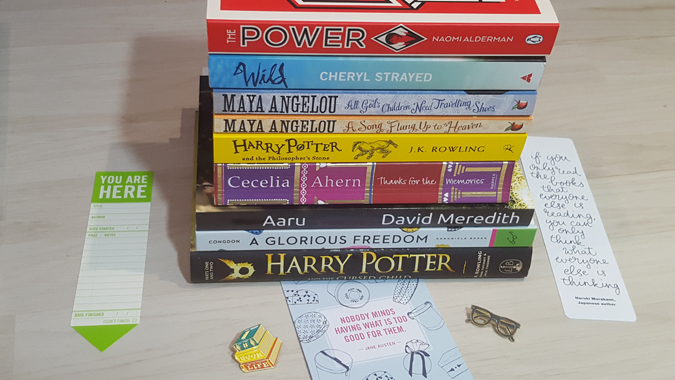 I’ll be sharing the usual subscription boxes, books and stationery, plus I’ve got a Christmas gift guide planned highlighting small businesses – including an awesome giveaway that will take care of some of your Christmas shopping! Yep, there’s only 15 weeks til Christmas. Excited yet? I’ve been buying jumpers at a rate of knots recently! I love a good cosy jumper this time of year. I didn’t realise they did posters in Blogosphere as well. I wonder if there is some tween somewhere who has her bedroom plastered with photos of Hannah Gale and Zoella. Probably with Zoella. How can yo turn down a new jumper at that bargain price. Christmas is coming around so quickly. It’s been ages since I’ve picked up a copy of Blogosphere (I must get a copy! ).